Now hurry up and build that wall, use healthcare money if you have to. Honestly, Sparks, I don't know why you bother. There's not huge traffic here, and irritating me must be a very small payoff for you. If you want to Troll the 50% who support Trump, you can do it more productively on Youtube. (Sparks. maybe you are possessd? have a Demon inside? mentioning things like camp bondsteel, the b61_12 or anything actually real like the engines of the su57 gets you banned in short order. stormfront is a little to ‘im my own grandpa’ for my liking. For all your flaws you are the last man standing. President Donald Trump took to Twitter early Friday to slam old foe Alec Baldwin, who said in a recent interview that he’s growing weary of playing the president on SNL. And Trump, never one to let a slight pass, decided to strike back at the actor on Twitter in bitterly personal terms he’s been known for. Though he misspelled Baldwin’s name in his first tweet, he quickly deleted it and reissued a new one with correct spelling. "He's takin' the Free Money"
Jesse is a good (& honest) man. Do you call THIS "Stormy Weather"? Trump’s overall job approval rating is now running ahead of where Barack Obama’s was at this stage of his presidency. And since the general consensus among both democrats and republicans seems to be to keep Muellers findings secret, it may even continue to improve. before they are classified, and if you prefer just knowing the truth. how is a court document "lie stream bias"
And I didn't even comment on the content. Which includes awesome falsehoods like mueller calling Yulia Tymoshenko a former president of the ukraine. Are there any consequences for mueller lying to the court during the sentancing of someone pleading guilty to lying to the FBI? The irony is beyond comic. Have so far been almost Free of Consequences. It is now PAYBACK TIME! mueller is a friend of mike pence, originally appointed by the bush crime family, most definately not a lefty or friends with the clintons or trump. ...the GOP is still talking nonsense about freedom and entrepreneurship, the Democrats are still obsessed with where people go to the bathroom, and Trump is still being rude on television. Nothing has changed. If anything, there is good reason to believe that in the weeks and months to come polls without the historic Republican bias of Rassmussen* will approach the 50 percent mark. But these guys will not tell you that, because it might disturb their biased narrative. I suggest you not subscribe, unless you want to be informed by snotty so-called reporters with a strong leftwing bias. I don't give much hope that the little glimmer of light within this excerpt is going spread into actual enlightened reporting. But perhaps I am wrong. If I am, I will admit it. not sure i really agree with that. Rasmussen said he would win the popular vote. all the others said he would not. ill take that back if you can show me a rasmussen poll predicting he will lose the popular vote but win by electoral college. He also won the Electoral Vote, which was what mattered. well, if you want to get into 'subtracting the fraud' from the data ive seen i reckon up to maybe 30% of his registered votes came from .... the compromise of various electorial officials systems via spear fishing and the total pwning of diebold. Thats the real story behind the 'russian hacking', everything else is just smoke and mirrors. But for them to admit it publically would be worse for them. most americans still cant bring themselves to admit they lost the vietnam war. And anyway, why shouldn't 'illegals' get to vote? the arguments against them having the vote are not much different than not letting women vote. And calling them 'illegals' in the first place is not much different than arguing the second amendment should be scrapped. Regulating a persons existance is much more significant than regulating the existance of firearms. would you rather said 'illegals' established their own seperate government and started a full scale civil war? "why shouldn't 'illegals' get to vote?" why shouldn't 'illegals' get to vote? They should vote wherever YOU live. gotta say, thats a very weak argument. Firstly, one of the reasons there are so many illegals is the us government basically stopped giving people citizenship. Thise daca kids for example, all met the residency requirements for getting citizenship (except for age) many times over and still aren't nationalised. secondly, why do you think they want anything different from life than you? they were sold on the "Life, Liberty and the pursuit of Happiness" lie. Thirdly, and most importantly "Governments are instituted among Men, deriving their just powers from the consent of the governed"
i.e. if you dont give them the vote, you have no right to govern them. Thats how they do it here with the цигани. no vote, but no support or interference by the state either, leave them entirely to their own devices. If they don't have the vote, why should they pay taxes for your goods and services? OTOH, if the US wants to police the world, why shouldn't we get a say in who is running it? The dems got their illegals, russia hacked, trump won, and the system she works. Thise daca kids for example, all met the residency requirements for getting citizenship (except for age) many times over and still aren't nationalised. Trump has offered a pathway to citizenship for DACA "kids" -some of which may now be 30 years old. The Dems did not like it, because these people, who came in or were brought in illegally. were not being given the immediate right to vote. In fact, VOTING is what it is all about for dems, whatever they may say in their public statements, so they failed to support Trump's plan. The Rasmussen Reports daily Presidential Tracking Poll for Wednesday shows that 51% of Likely U.S. 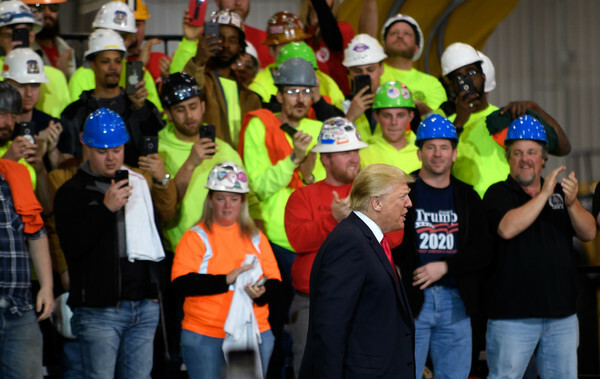 Voters approve of President Trump’s job performance. Forty-eight percent (48%) disapprove. The latest figures include 33% who Strongly Approve of the way Trump is performing and 38% who Strongly Disapprove. This gives him a Presidential Approval Index rating of -5. (see trends). This is the president’s best overall job approval rating since April of last year. President Obama earned a 46% job approval rating on April 4, 2010, his second year in office. Ironically, many folks have criticized Clinton for helping to create the culture that spawned the #MeToo movement of women accusing powerful men of sexual harassment and intimidation. Many have noted that Clinton stood by her husband amid repeated claims the former president sexually harassed and raped women throughout his political career. Juanita Broadderick, for one, said Clinton issued an implied threat to keep her quiet years after Bill Clinton raped her in a hotel room during his run for governor of Arkansas in 1978. Networks Scrap TWO Clinton Impeachment Shows - On Same Day! wtf is a virtue signaler? new one to me.. Someone who is busy trying to look like they are a do-gooder, when the reality may be very very different. Last November, Clinton sat down with the liberal online news outlet Now This to reflect on how life would be different on Earth 2, a planet that faces the exact same issues as Earth, only with Hillary as president, The American Mirror reports. 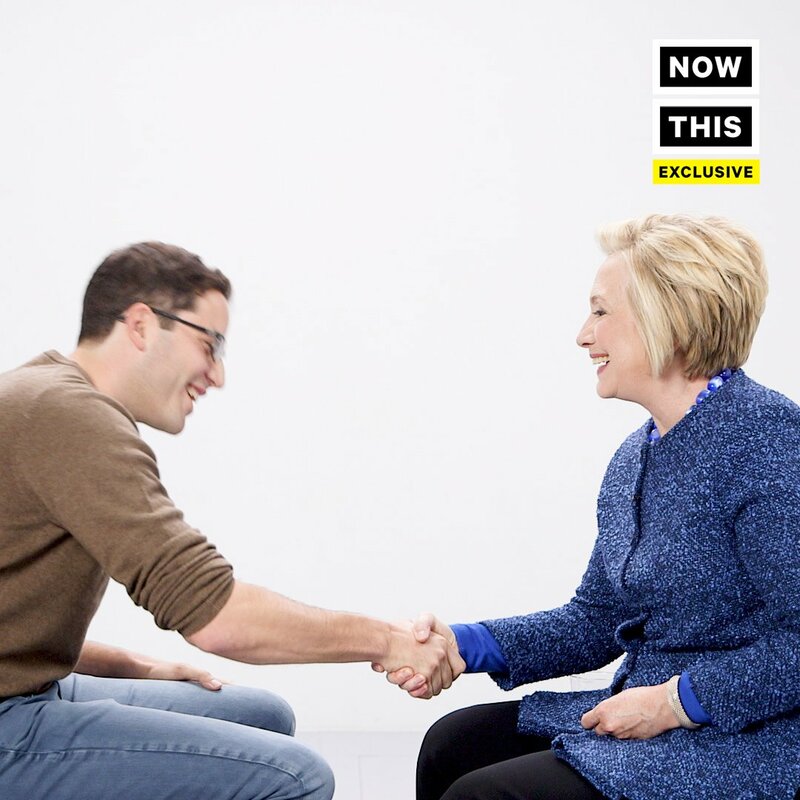 The show’s producer attempted to cut off the segment there, but Clinton insisted on continuing. “You want one more? I’ll be short – one more. Because I like being on Earth 2,” she said. Pitney asked about Russia, and Clinton said she’d appoint an “independent commission” to tackle the alleged Russian “hacking” of the 2016 election. HRC has truly lost her grip on Reality. i consider myself more a "realist"
do what i can to help make the world a better place, understand it, do well in it. Bring those close to me along for the ride. brought to you by the country that has daca kids and hb1 visas, the only country in the world that taxes expats. The country that has the worst value healthcare system in the world that i have to spend to much time every other day telling representives of it to go f' themselves the rest of the world isn't interested in replicating it.